Teresa was born and raised in Humphrey Nebraska and attended Humphrey High School. 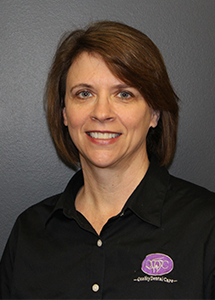 Teresa graduated from Iowa Western Community College in 2003 with her dental hygiene license and joined the Quality Dental Care Team in 2006. In 2015 Teresa was promoted to Office Manager. Teresa has always prided herself in being approachable, friendly and fun to be around. 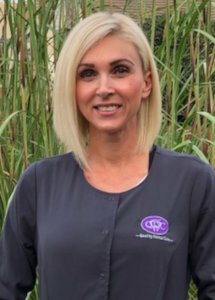 She is passionate about treating her patients like family and she has gained many friendships over the course of her hygiene career. 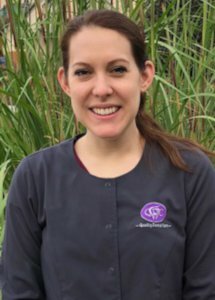 She enjoys teaching her patients about their oral health care while making their experience a good one by being gentle, but still achieving a good dental visit. Growing up on a farm, she was taught the meaning of hard work and she has always believed that if you work hard and be faithful, you can achieve just about anything in life. Teresa has two children, Ashley and Brandon, with her husband of 28 years, Keith. Teresa says the most rewarding part of her job is watching a patient’s confidence in themselves increase while the improvement of their oral health is achieved. Bethany was born and raised in Omaha Nebraska and attended Millard North High School. Bethany graduated from Iowa Western Community College in 2014 with her dental hygiene license and joined the Quality Dental Care Team in 2015. She provides patients with routine cleanings as well as periodontal therapy. Her top priority is to provide thorough and gentle care while building lasting friendships. She always takes time to educate her patients about ways to improve their oral hygiene. Bethany loves animals and has rescued 3 kittens (Milo, Cudi, and Ava), which she loves dearly. When she is not working or in class she enjoys traveling, being outdoors, spending time with friends and family and watching Husker football. She says the most rewarding part of being a dental hygienist is seeing her routine patient’s oral health improve. Mara’s parents are from Michigan but after her father joined the Air Force they were stationed on a small island off the coast of Portugal where Mara was born. They moved to Nebraska when she was two and it has been home ever since. She went to a small school south of Plattsmouth where her graduating class consisted of 46 people. 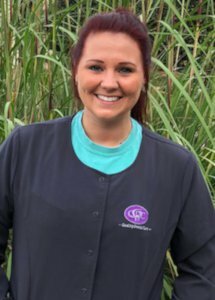 Mara graduated from Iowa Western Community College in 2014 with her dental hygiene license and joined the Quality Dental Care Team in 2014. She spends her days with family and friends. She enjoys cooking and baking and trying new recipes in the kitchen. She also enjoys Yoga and Pilates. She is an avid reader and loves finding a new book or story to sink her teeth in. When the weather is nice she spends as much time outdoors as possible, swimming, going for walks, and camping. 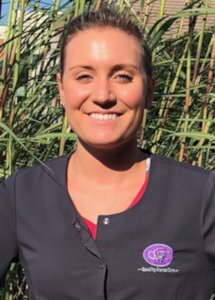 Her favorite thing about being a dental hygienist is that she gets to meet new people and help them feel great about their smile. She is very caring and kind and will always put your comfort first. This profession is the most rewarding thing she has ever done and she can’t wait to meet you. 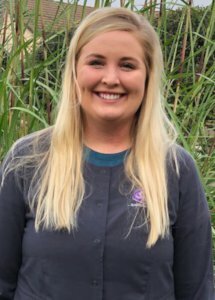 Lauren is from Overland Park, Kansas where she graduated from Johnson County Community College with her dental hygiene degree in 2018. After graduating, she decided to move to Omaha and has been loving it ever since! Lauren has a passion for educating her patients on ways to prevent oral disease because she loves saving smiles. She prides herself in providing thorough yet gentle care. In her free time, Lauren enjoys walking her German Sheppard puppy, Dakota, working out, and spending time with family and friends. Lauren’s favorite part about being a dental hygienist is getting to know every one of her patients and making a difference in their health. Donnita is from Dwight, Nebraska and attended East Butler High School. She graduated from Iowa Western Community College in 2018 with her dental hygiene license and joined the Quality Dental Care team a few months later. When she is not working she enjoys spending time with her friends, family and her cat Toulouse. She loves traveling the country and plans to travel the world. Donnita knew she wanted to be a dental hygienist when she was a teen in braces. One of the reasons that she loves her job is that she gets to brighten everyone’s smile because a smile is the most beautiful thing you can wear!